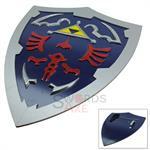 This handcrafted fiberglass shield hails for the realm of hyrule, where the Legend of Zelda was born. It is embellished with raised metal and fiberglass decorations on the front. It is finished with red, blue, silver, and yellow lead free paint. 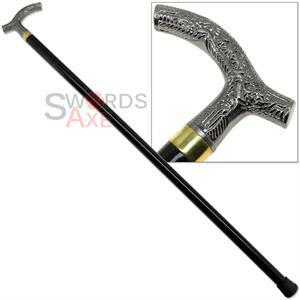 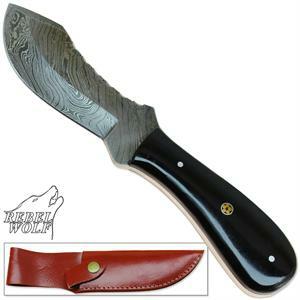 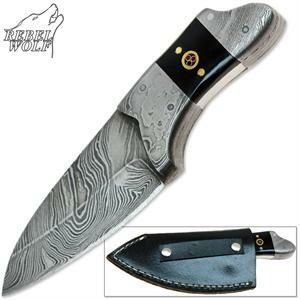 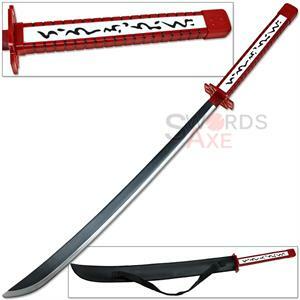 The back sports a sturdy aluminum handle and a black nylon upper arm strap. This breath of the wild shield measures approximately 23.75 inches high by 20 inches wide, and weighs around 6 pounds. 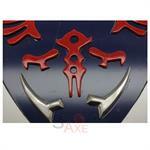 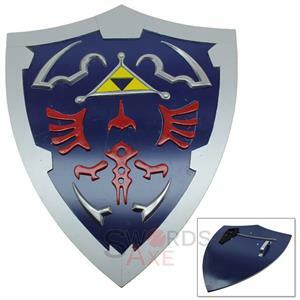 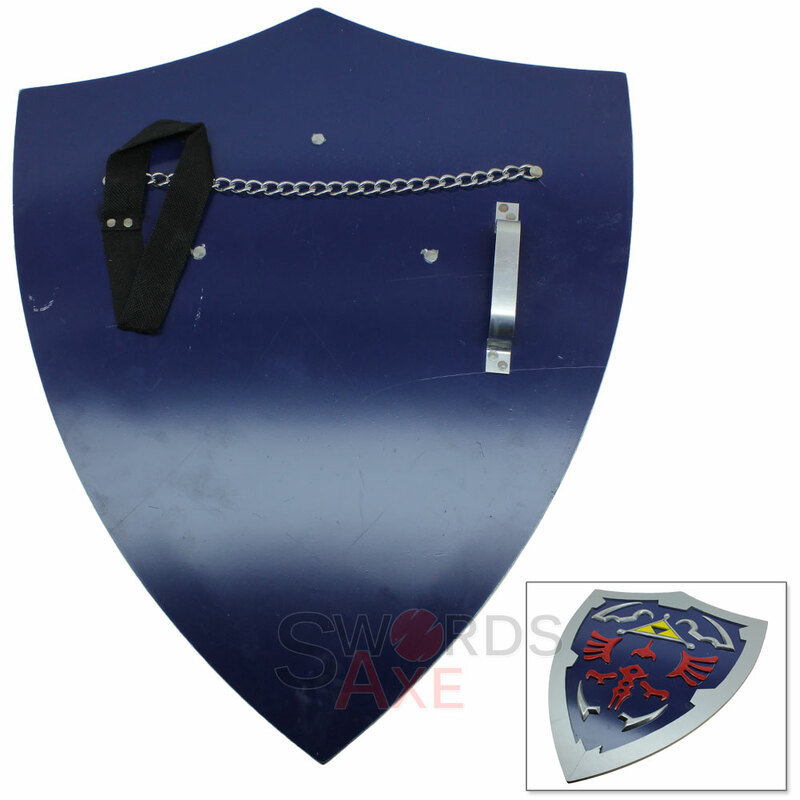 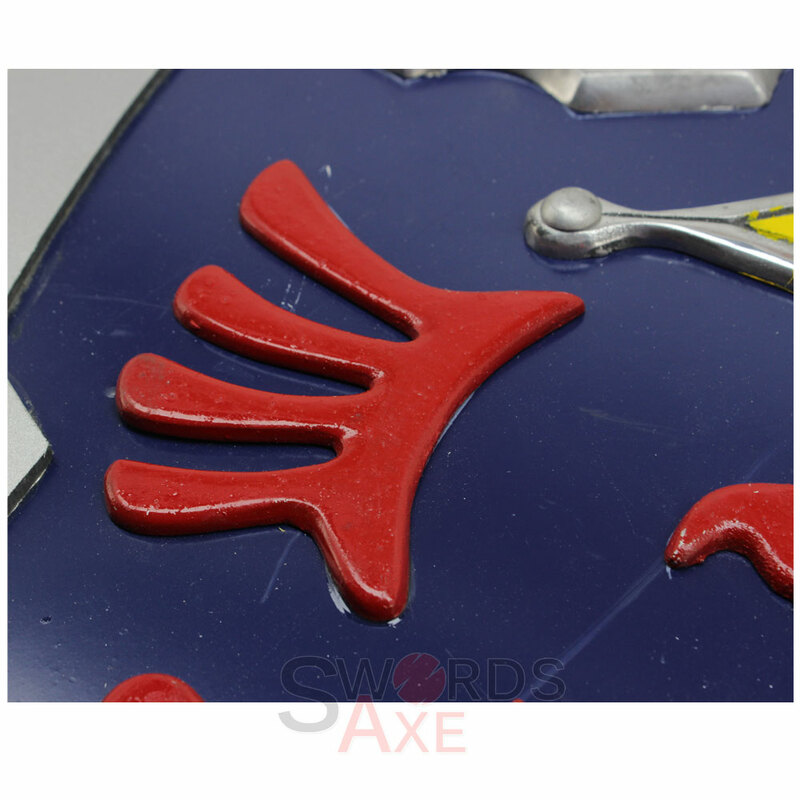 This shield comes equipped with a wall hanging chain, making it a perfect item for wall display.